** Offer available until November 30th, 2018. Valid 6 months after appointment. *Multi-point inspection and 6 months’ roadside assistance offers included with any paid service. 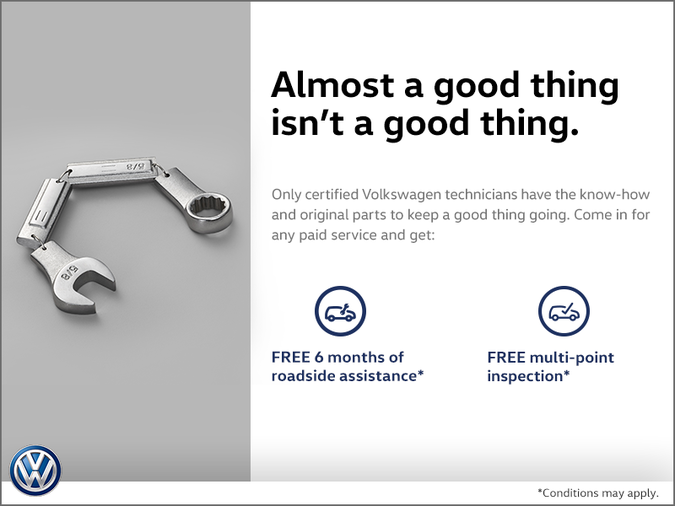 Roadside assistance is only available to owners of Volkswagen vehicles that are no longer under manufacturer warranty, with any paid service. Roadside assistance is provided by Club Auto Roadside Services. Offer available from September 1 to November 30, 2018.